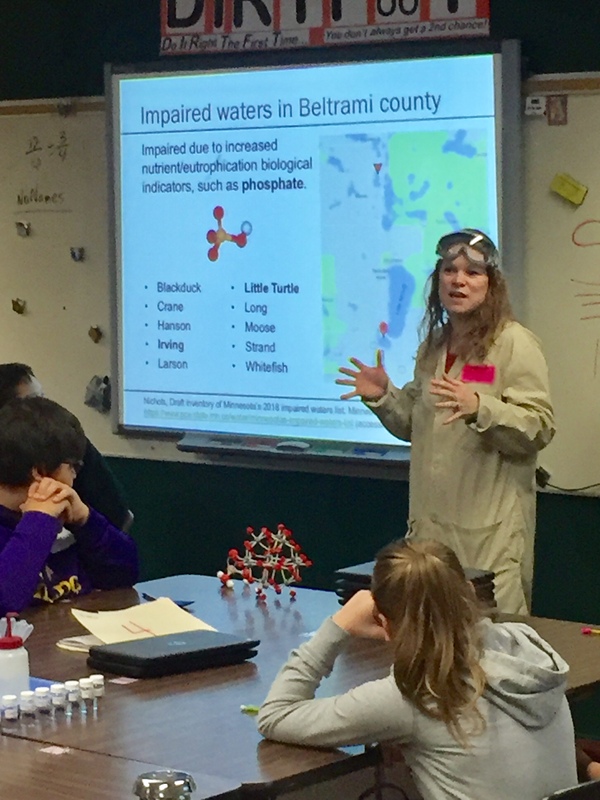 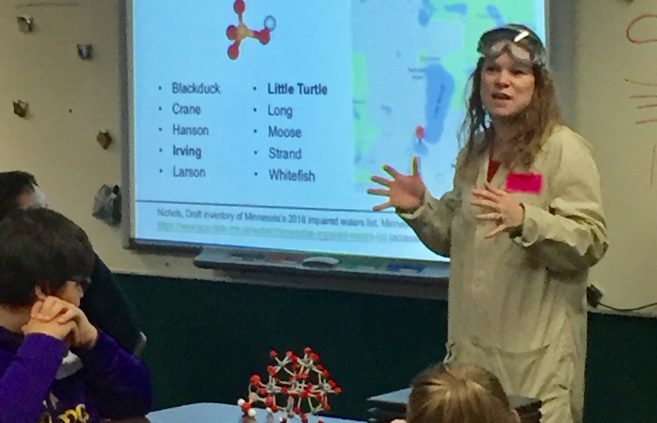 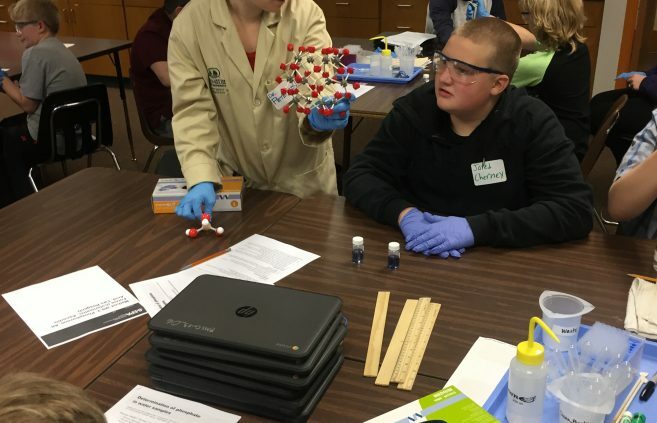 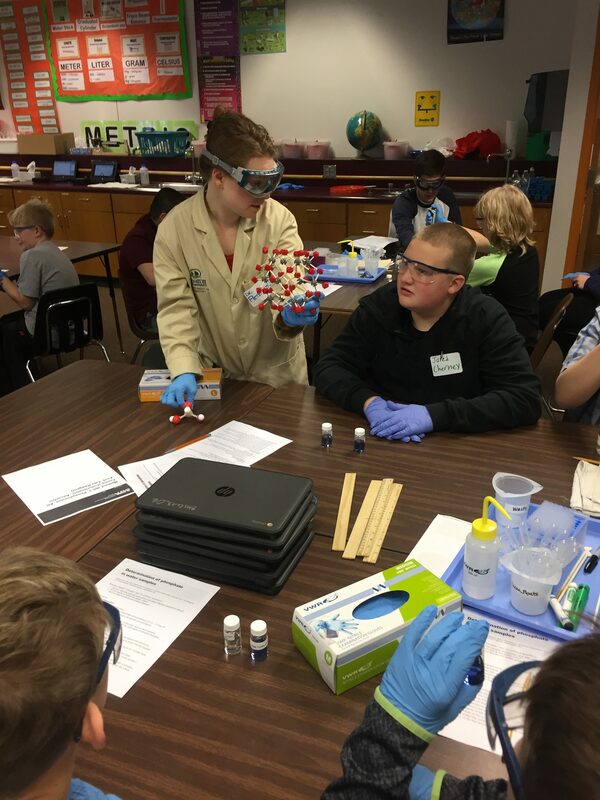 Bemidji State University chemistry professor Dr. Katie Peterson hosted a chemistry outreach event at Bemidji Middle School on Nov. 29. 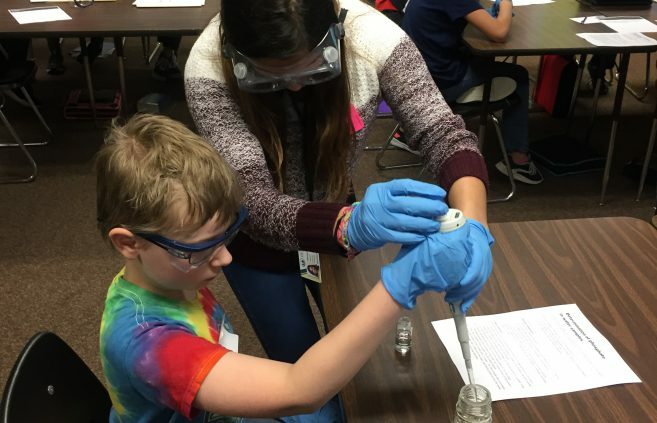 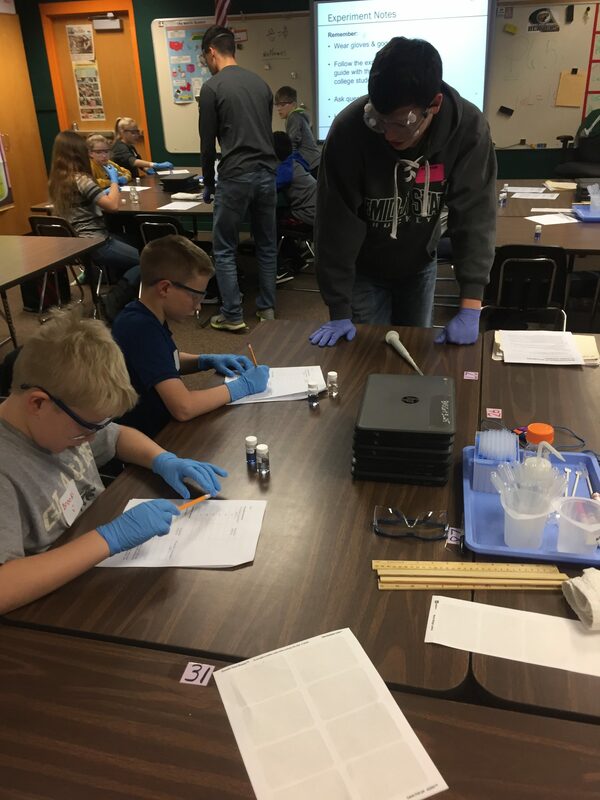 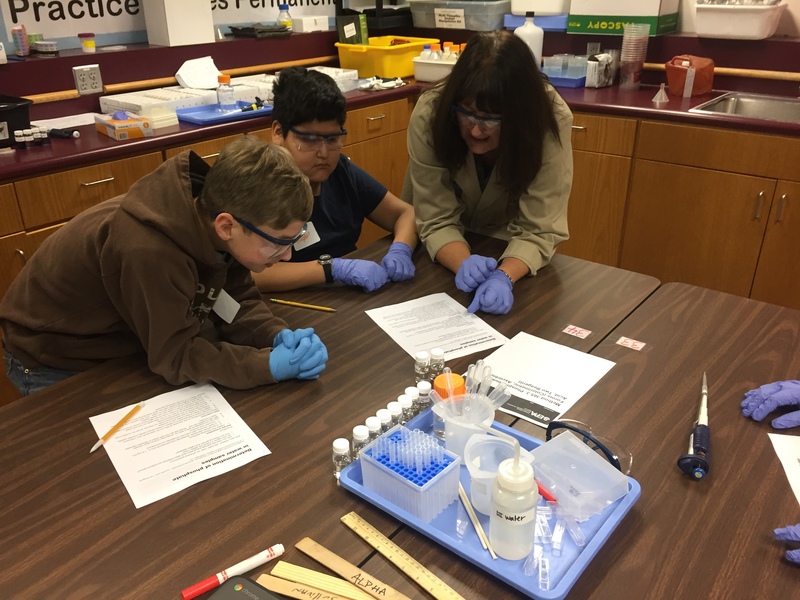 “Engaging 6th Grade Citizen Scientists: Measuring Phosphate Levels in Surface Water” is a project that involved over 100 sixth grade students in using the EPA protocol to measure phosphate concentrations in local surface waters. 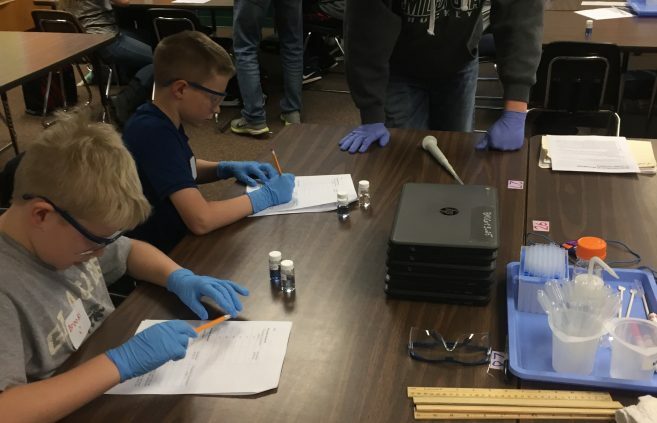 The phosphate concentration was determined by measuring the absorbance of the solutions with portable SpectroVis Plus Spectrophotometers that connect to computers for data analysis. 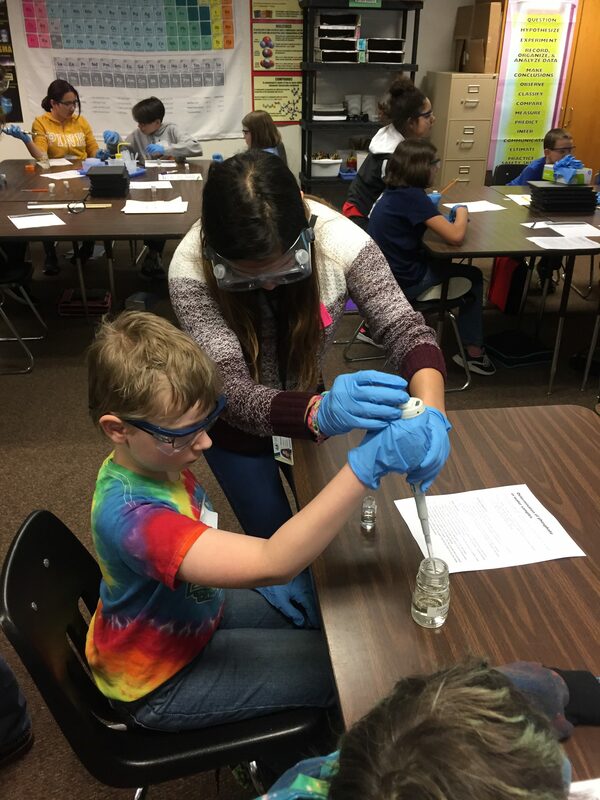 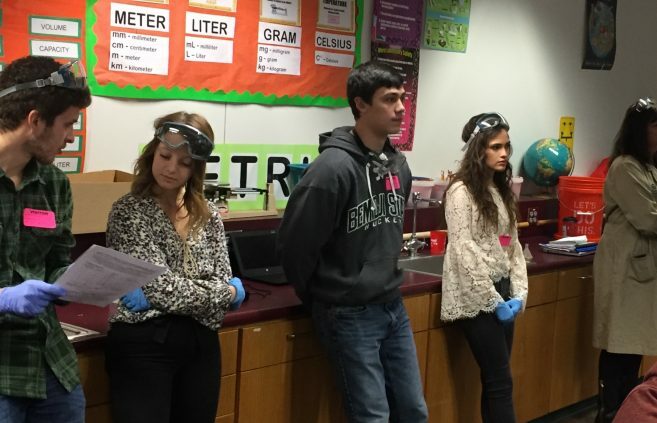 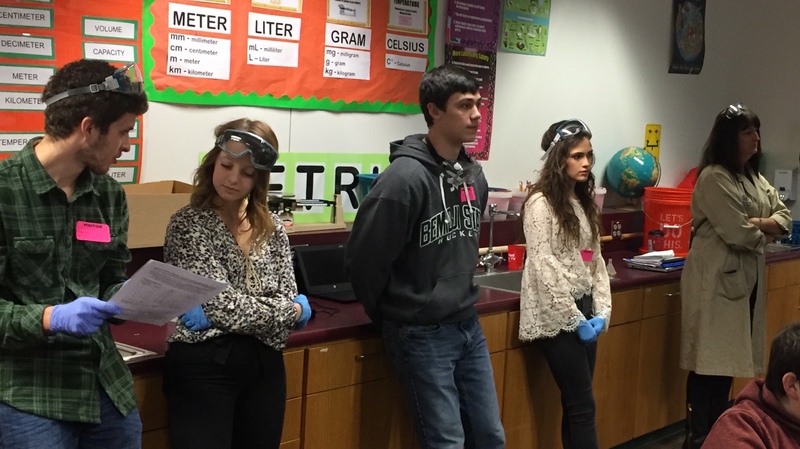 11 undergraduate students assisted the middle school students during the experiment. 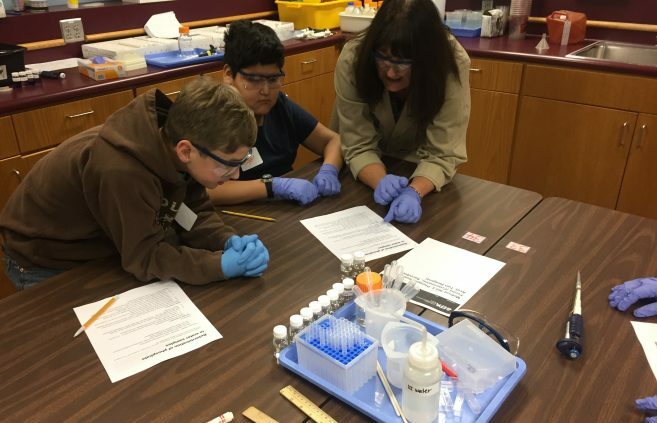 This activity educated the youth about water quality issues and encouraged participation in the sciences.